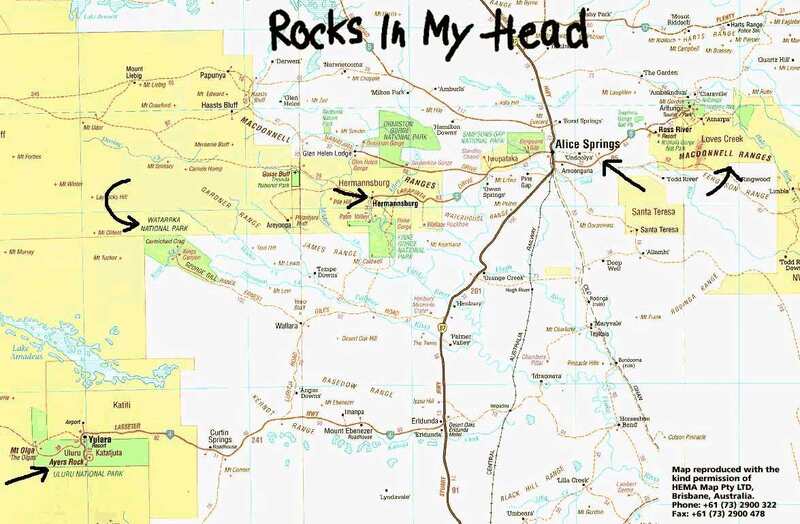 I head west through 100 kilometers (60 miles) of nothingness, and there stands The Rock. It's the biggest monolith on the planet, and geologists reckon two-thirds of it lies underground. It's the perfect symbol of the Australian Outback - hard, unforgiving, frighteningly ancient, silent, and still. Uluru, the aboriginal name for Ayer's Rock, translates as "meeting place." Kata Tjuta, a nearby labyrinth of rounded rock outcrops, means "many heads." These landmarks and the surrounding plains of gum trees, mulga, and spinifex were designated a national park in 1958. The park was then handed back to the Anangu tribe in 1985. They lease it to the National Parks Service, and in return, they receive A$75,000 (about US$55,000) a year and 20 percent of the entrance fees. The 30,000-odd annual visitors pay A$10 (about US$7) each. The park was World Heritage-listed for its natural value in 1987, and for its cultural value in 1994. The first thing everyone wants to do when they get here is to climb Uluru, but that's a tacky and dangerous activity. More than a dozen climbers have been killed, and some clown gets into trouble every few days. The Anagu conduct initiation ceremonies here, usually in caves off-limits to visitors. Occasionally, the entire park is closed for this reason. The Anagu prefer that no one climb Uluru, though they tolerate the activity. They are very disturbed by the accidents and deaths, and look forward to the day - perhaps not too-distant - when the trail is closed. In one local language, the word for the ubiquitous black ant is "minga." It is the same word for tourist. Uluru National Park is about as happy as a weird, cross-cultural marriage-of-convenience gets. The Anagu have the controlling interest on the Park's Board of Management; the Chair is Anagu and the meetings are bilingual in Pitjantjatjara and English. No park development occurs without Anagu consultation. It's a delicate balancing act: in return for about $700,000 (almost US$513,000) a year, they expose their sanctum sanctorum to the masses. But they retain ultimate control. T H R E A D S : 9 topics, 21 links.